Many people wish to create wonderful, appealing, and creative websites for their business or corporation but lack the skills to do it. Web development is not an easy task and requires a special set of skills and expertise. You have to create a template and design then place the content using coding and programming. From the designing step to the completion of the site and then updating it, we development needs an expert’s touch and skillset. But in the modern day, with technological advances for every aspect of our lives, web development has also been made easy. Nowadays, there are many web development tools available for online and offline use. These web development software can charge you a fee or be completely free. These advanced tools allow for anyone, with no knowledge of web development, to create and edit their own web pages. You can code, program, design, edit, and prototype using the convenient software. 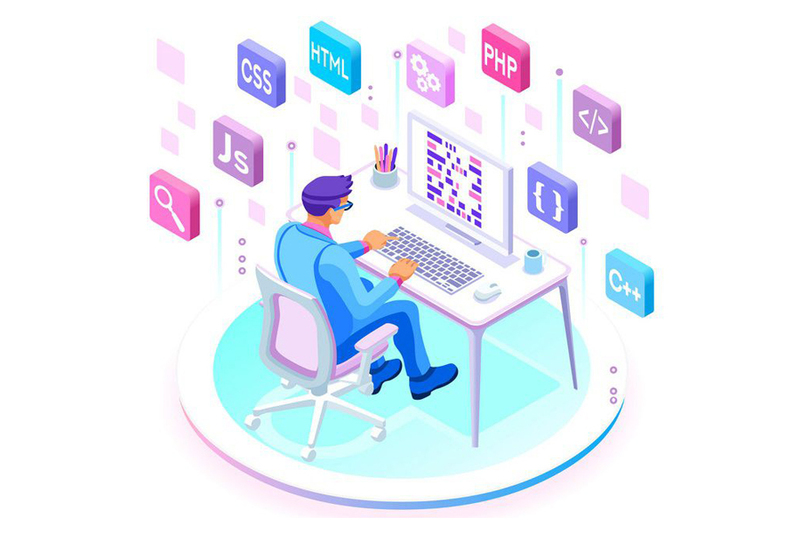 However, there are a few web development software that go above and beyond to give their users all kinds of benefits which is why we have compiled a list of the best five web development tools that let any individual establish and update their own websites. WordPress is the most popular and commonly used web development tool online. Its free and easy features have made it a well-liked tool amongst developers and common folk alike. The basic version is free to use with many features that allow you to create blogs and keep them updated efficiently. There are however Personal and Premium versions that you can buy that come with additional amazing features. This platform uses PHP language and allows anyone to create a website on their own server by utilizing the PHP/MySQL database. You can use WordPress to develop a commercial site using the Content Management System (CMS). Its features include a WYSIWYG text editor, member registration, Trackback/Pingback, multiple authorship, permalinks for search engines, SEO optimization, templates, themes, third-party plugins, site-building tools etc. It is also easy to install and use even for individuals who have no web development skills. The many different features that are free and flexible allowing for you to create and maintain a site according to your preferences and needs. With such a powerful and convenient tool, you could have many visitors and customers due to the quality of your web pages. Web designing is a hard task full of complicated templates and then you have to convert the design using coding languages. This entire process requires the designer to have extensive knowledge and training in coding. But with the help of online tools such as Macaw, you can create new designs every day while letting the software code them as well. Macaw is a free web designing tool that lets people design web pages using attractive fonts and features. The flexible designing tool then converts your designs into web pages using HTML and CSS coding languages. You can style and design responsive web pages using design templates that you can save for later as well. The layout helps you design and edit your elements easily in real-time. The Alchemy tool is the best and most beneficial tool of the software. It can convert whatever design you choose into web pages using CSS or HTML languages. This free designing software lets you create your website with flexibility and efficiency. It is better than other web designing tools because it provides more than just features for designing your web pages and lets you code them too. Mockplus is a proficient tool for developers and designers to create prototypes of mobile, web, and desktop applications. It charges an annual fee depending on your kind of usage and whether you are a large organization, small startup or just an individual managing your own web applications. It helps make the prototyping process remarkably easy, quick, and efficient. It makes designing and developing web prototypes easy and convenient with the help of its many useful features. The drag-and-drop method helps save time and effort for developers as well as designers. You can make use of as many as 200 icons and 3000 components that are set and ready for your use. You can utilize beneficial and smart tools such as Auto Data Fill, Paste Style, Repeater, and Format Painter. After you are done designing and developing your prototype, you can preview and review it using features such as export to demo package, export to image, view it on mobile using QR code, and publish it online and offline using HTML etc. If you are having trouble coming up with a plan or sketching out the details, you can use features such as MindMap and UI flow design mode to map out and analyze your ideas quickly. Weebly is one of the most commonly used and easiest web building software available online. It is a beloved tool amongst amateur individuals who wish to develop their own website but lack the technological skills to do so. Professional designers and developers also give it rave reviews for its convenience and ease. You can use the software to create many different kinds of websites including e-commerce or commercial for personal, business, or corporate use. It is a wonderful tool with a free basic version. You can get the Connect, Starter, Pro, and Business versions for monthly charges that are very cheap. You do not have to have any coding skills to be able to use this online which comes with around 40 layouts for you to choose from. You can even take a look at other multiple portfolios and website maps to get inspiration. There are many unique themes and templates with trendy and responsive designs. You can keep your workflow smooth and track it using lists, pop-ups, email sequences, and info buttons as well. Another creative and highly beneficial software from Adobe Systems, Adobe Dreamweaver is a web development tools designed to make the process easy, quick, and fun. The application can be used on both Windows and macOS. It is available for monthly subscriptions for individuals and business purposes with different packages that you can choose from depending on your budget. However, you can take advantage of its free trial to check out all the features and decide if it is something you will benefit from.